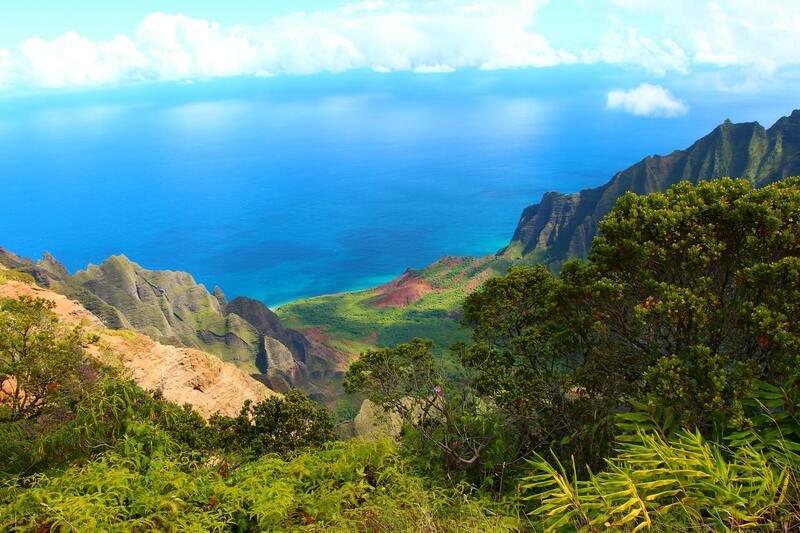 Home|blog|State of the Month|Hawaii: Aloha, Hollywood! Looking for your next exotic film location? Consider the Hawaiian Islands. Hawaii offers a wide range of dramatic settings that are ideal for action-packed films like Jurassic World and Kong: Skull Island which have enthralled audiences with their portrayal of faraway lands and mythical wonders. But besides its beautiful seaside locale, what makes this state even more attractive among producers is its film incentive program. Over time, Hawaii’s film industry has grown to develop a solid infrastructure that serves incoming productions by offering qualified crews, established industry vendors and premier accommodations for food and lodging. Many blockbuster films have come and gone from the islands but what keeps Hollywood coming back – now, more than ever – lies in the economics. This is attributed to the state’s first-come, first-served incentives program which provides a 20 percent refundable tax credit on all qualifying in-state costs including resident and non-resident labor. Can’t find what you’re looking for on the islands? Have it shipped in! Not only does shipping and travel to and from the islands qualify for the 20 percent incentive, but out-of-state purchases used on a qualified Hawaii project are eligible, too, as long as the general excise/use taxes (GET) are paid. Furthermore, if a production films on the islands of Hawaii, Kauai, Lanai, Maui or Molokai, an additional five percent will be added on top of the 20 percent base incentive. Something to keep in mind when planning your Hawaii shoot days is the program’s funding cap. For many years the incentives program has operated without an annual cap, but with the passage of 2017’s House Bill 423, the program is limited to $35 million per year beginning Jan. 1, 2019. Nonetheless, credits in excess of the allowable $35 million per year will be treated as having been applied for during the subsequent year and shall be claimed in such year until the program’s sunset date. 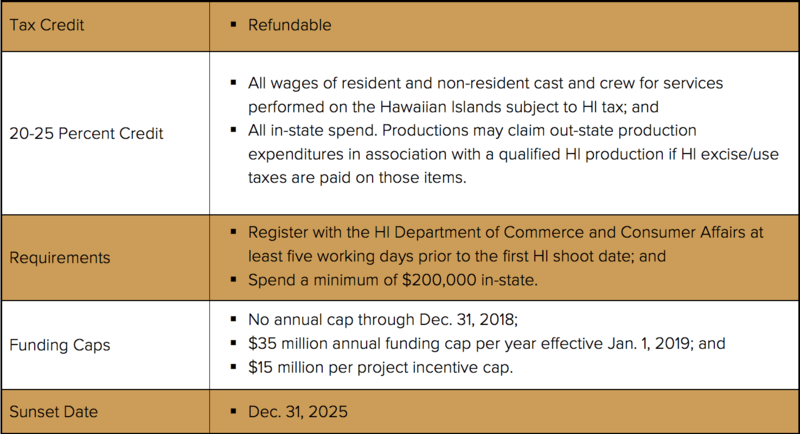 Check on the availability of funds with a film commissioner before applying and for more details on the Hawaii film incentive program, please visit filmoffice.hawaii.gov. Jurassic World: Fallen Kingdom (2018), Jumanji: Welcome to the Jungle (2017), Snatched (2017), Mike and Dave Need Wedding Dates (2015), Godzilla (2014), Hunger Games: Catching Fire (2013), Rise of the Planet of the Apes (2011).